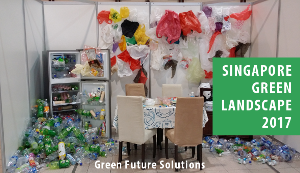 We love to spread the green message and inspire others to take action, that’s why we have initiated various publications, websites and campaigns for the environment. 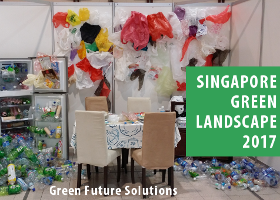 Our guides and reviews help individuals, companies and organisations to understand green issues in Singapore and take action. 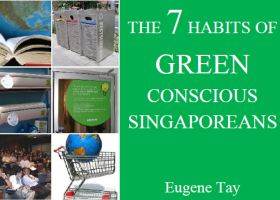 The 7 Habits of Green Conscious Singaporeans is a guide book for you to go green and take action. The 7 habits are commonly found in people who are green conscious and environmentally aware. All of us can start learning these 7 habits now and take action to improve and protect the environment. Singapore Green Landscape 2017 highlights 13 key sustainability reports, and gives an overview of 273 NGOs and non-profits, green groups, business associations and groups, green websites, government agencies, and institutes and centres in Singapore, which are relevant to the environment. 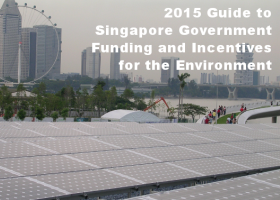 2015 Guide to Singapore Government Funding and Incentives for the Environment lists 35 funding and incentives related to energy efficiency and clean energy, green buildings and construction, water and environmental technologies, green transport and shipping, waste minimisation, environmental initiatives, and capability development. Our green websites provide environmental resources for individuals, companies and organisations to make sustainable choices and act towards our green future. We initiated and manage these non-profit campaigns to advocate environmental causes that we believe in. The Green Corridor is a campaign that serves to gather support for The Green Corridor and unite supporters, to show the government that there is public interest and support for the corridor, and to archive stories, photos and videos on the railway and the corridor.